That's fine, all the labels are perfectly legible. But the chart is pretty wide. When you make the chart narrower, Excel rewrites the labels at an angle to make them all fit.... 27/09/2010 · The Custom angle is greyed out. I can choose the Text Direction (Horizontal, Stacked, Rotate 90 degrees, Rotate 270 degrees) but I want to specify a custom angle. I can choose the Text Direction (Horizontal, Stacked, Rotate 90 degrees, Rotate 270 degrees) but I want to specify a custom angle. To make it easier to work with TAN and Excel's other trig functions, use points to a cell containing text data - row five of the example where the cell reference used points to the text label: Angle (Radians); If the cell points to an empty cell, the function returns a value of one - row six above. Excel's trig functions interpret blank cells as zero, and the tangent of zero radians is how to get subtitles on google play Thus, you can see that it's quite easy to rotate an Excel chart to any angle till it looks the way you need. It's helpful for fine-tuning the layout of the labels or making the most important slices stand out. 20/05/2009 · I’ve been trying to find a simpler bit of R code that will allow axis labels to be written in at an angle, and thanks to my obsessive scanning of the R-help mailing list I found a nice example (all credit to Uwe Ligges and Marc Schwartz for their approach). 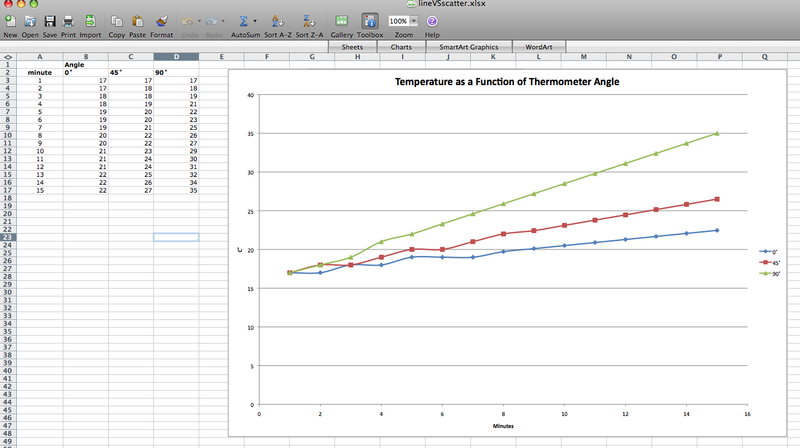 how to make a pie graph in excel 2010 12/07/2006 · text at an angle. The problem I'm having is that the heading is all within The problem I'm having is that the heading is all within column B and I have to widen the column to show the heading. That's fine, all the labels are perfectly legible. But the chart is pretty wide. 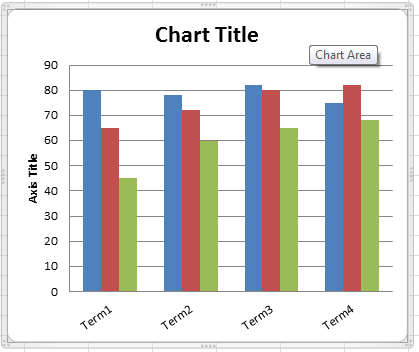 When you make the chart narrower, Excel rewrites the labels at an angle to make them all fit. 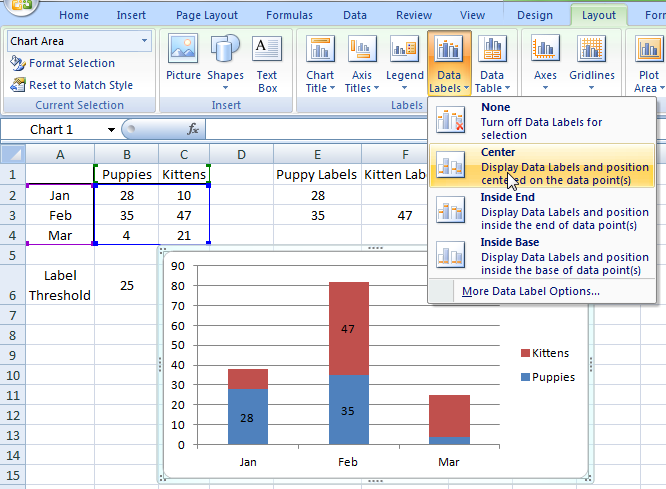 The Excel does not have a default function to add labels both inside and outside, however, with a few of tips, you can make your chart perfectly with labels in and out. The logic behind is to make two exactly same pie charts but with different labels.